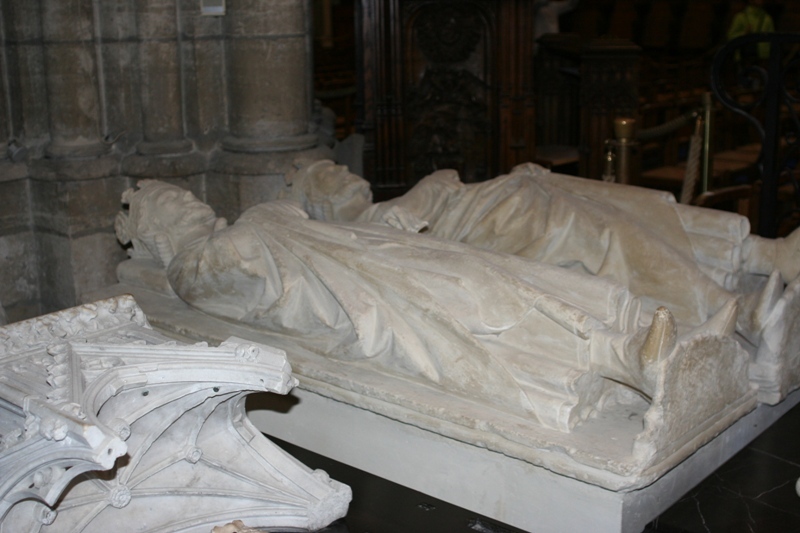 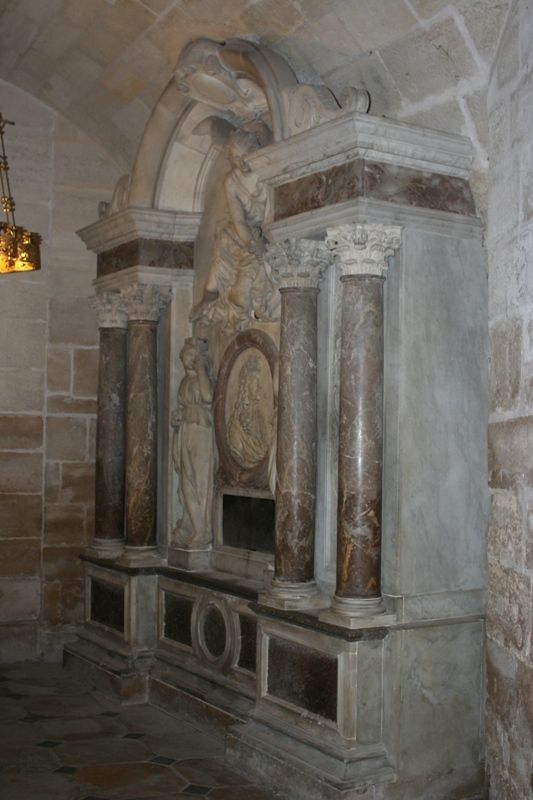 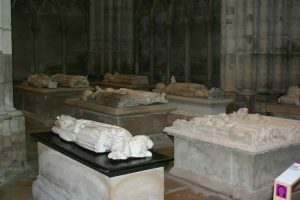 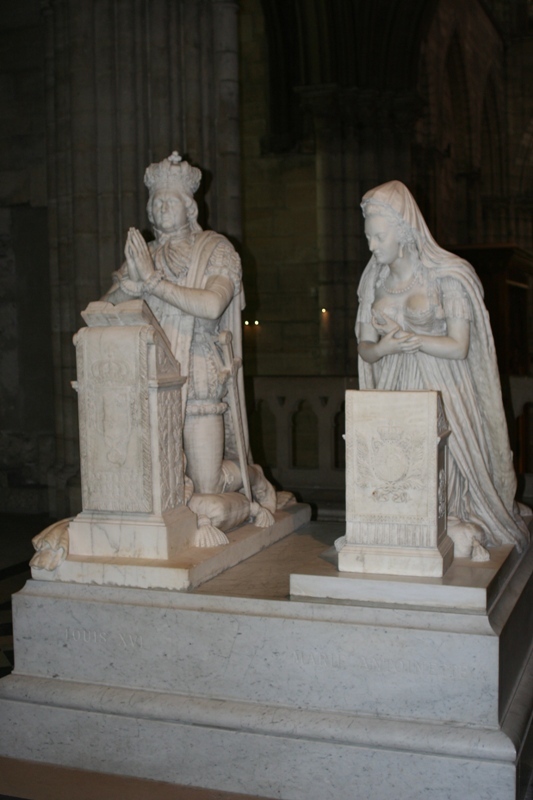 The picture labelled “Tombs of Louis XVI and Marie Antoinette” is actually of their memorial sculptures. 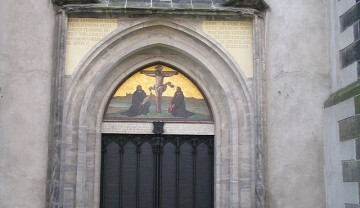 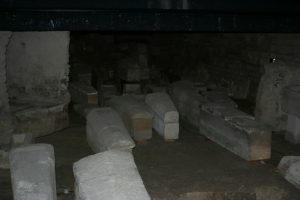 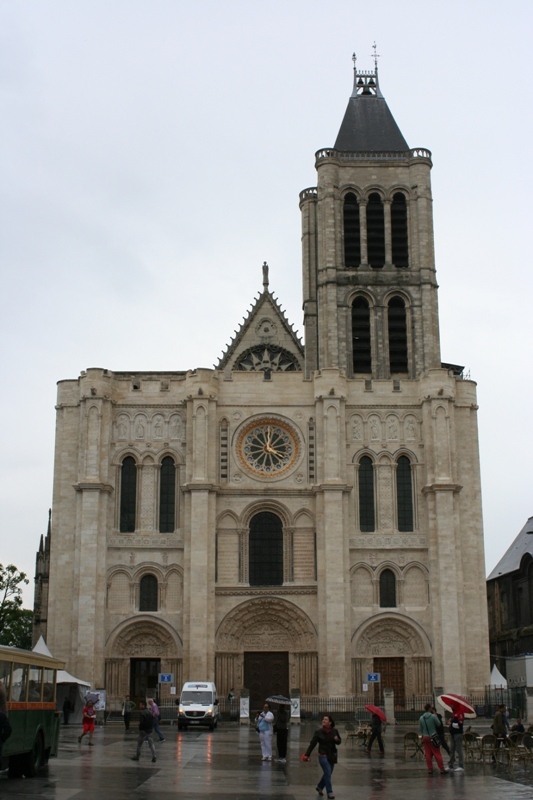 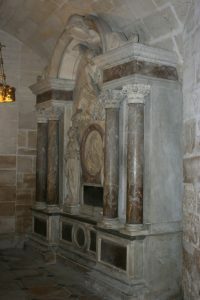 Their actual burial place is in the crypt beneath St. Denis. 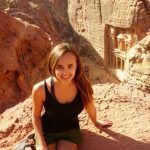 Is it in that cave room underneath that’s filled with the jumbled pile of sarcophagi? That would make sense.